James Cummings will use blinkers on Encryption to give the colt an edge in the Danehill Stakes. Saturday’s Danehill Stakes field of 12 features the Darren Weir-trained Native Soldier who is high up in Caulfield Guineas markets after an emphatic win in the McNeil Stakes last start. “He’s tightened up noticeably since the McNeil Stakes and with the blinkers on he’s open to more improvement,” Cummings said. Another is lightly raced Ranier who clashes with unbeaten colt Brutal and a number of Guineas hopefuls in a 1400m Listed race on Saturday’s program. 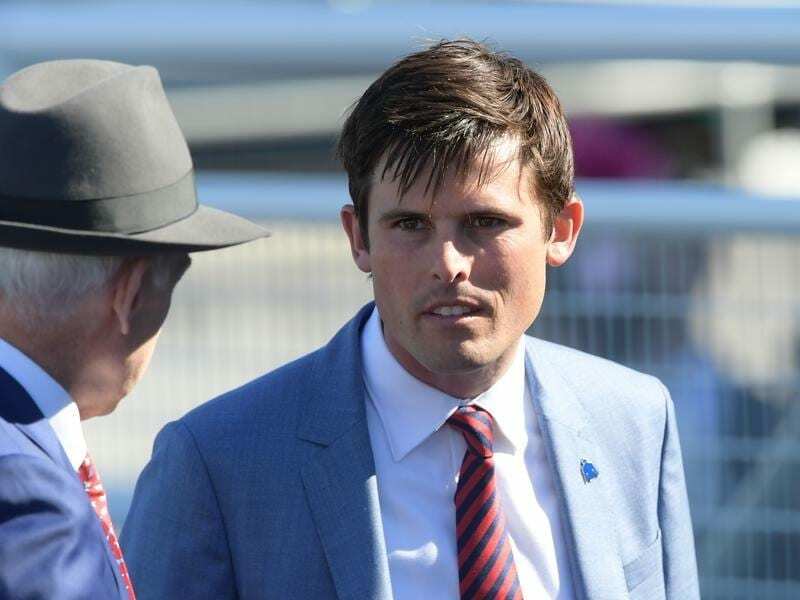 “He’ll be up against a very good horse in Brutal, so we should get a good idea of where he is in his preparation,” Cummings said.